Here at ConvergeOne, helping you meet telephony infrastructure challenges is not only our full-time obsession, but also the philosophy behind CAMBRIC — seamlessly transitioning your communications technology from your premises to the cloud. Best of all, it’s all fully managed, maintained and supported by the experts at ConvergeOne. With CAMBRIC, we transition whatever telephony-based infrastructure and applications assets you have — including UC + CC, from Avaya, Cisco, Microsoft, Genesys / I3 and more. Then we deploy your solution back to you via our ultra-secure cloud. Your solution is fully managed by ConvergeOne, including day-to-day operation as well as maintenance renewals, upgrades and infrastructure expansions. In addition, pricing is based on a simple monthly pay-per-user consumption model. You only use what you need, when you need it. That makes consuming (and paying for) your technology as easy as can be. Watch our free, on-demand webinar to learn more about CAMBRIC from ConvergeOne. You get a robust enterprise-class solution that is fully managed by ConvergeOne in a secure cloud environment. We provide complete transition services from your existing technology, including whatever vendor(s) you currently have as well as those you want to use moving forward. Your solution includes 24x7x365 monitoring, Service Level Agreements, troubleshooting and remediation services. We deliver proactive and preventative maintenance and support — ensuring your solution meets your needs today AND tomorrow. You get a solution that is simple to use, yet tailored to your needs. Pay for performance, per-user pricing makes consuming technology services simple. Use only what you need, when you need it. You still get all the privacy, security, reliability and availability that your business requires. Our certified experts manage your communications infrastructure — whatever that may be. By transferring your infrastructure and applications assets to ConvergeOne, you say goodbye to ongoing management hassles — and hello to a simpler, most cost-effective way of consuming technology. We manage and reduce the complexities of your technology. With simple per-user pricing, you use the services you need, when your business needs them. The responsibility of running telephony- based infrastructure and applications is transferred to ConvergeOne — which means we can keep things running smoothly and handle uptime, system updates, and upgrades for you. Whether your goals are to upgrade your UC infrastructure or applications right now, evolve your technology over time or take steps to keep IT costs under control, our solution is the link between your technology roadmap and your business initiatives. ConvergeOne is the leading IT service provider of collaboration and technology solutions for the large and medium enterprise. In the business of helping customers achieve their goals for nearly 25 years, and backed by hundreds of highly trained and certified technicians, our focus has always been and will continue to be on delivering the highest quality customer experience. 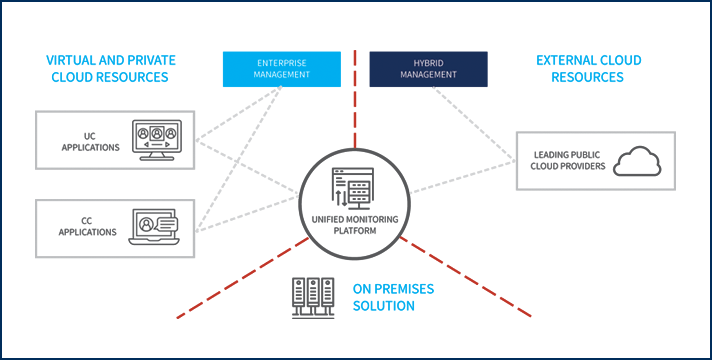 Whether your company needs your very own private cloud, public cloud, or a hybrid option, ConvergeOne has the expertise to either provide the smartest solution, or help manage the one you are currently using. Find your perfect balance. Use what you need, when you need it. White Paper: Take the mystery out of the Cloud. Learn how to make it YOUR Cloud YOUR way.